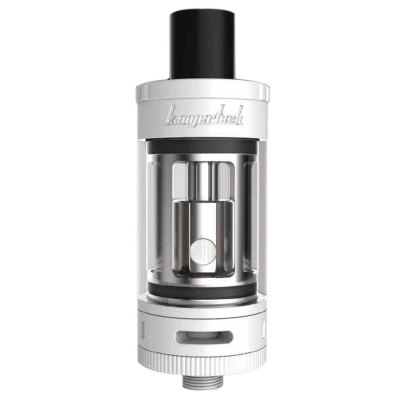 The Kanger Toptank Mini SSOCC (Stainless Steel Organic Cotton Coil) Pyrex Glass Cartomizer is the first top filling atomizer from Kangertech. Kanger’s first e-liquid top-fill system. Constructed of extremely high-quality 304-grade stainless steel which contains chromium and nickel that protect against corrosion and rust. Kanger’s state of the art airflow control valve. 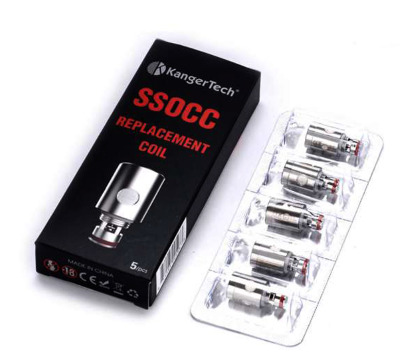 Compatible with the Kanger OCC vertical coils as well as the SSOCC line of coils. Size - 22mm diameter - 61mm length. Material - Pyrex Glass and Stainless Steel.